Monsieur Salut writes: Salut! Sunderland, it is fair to say, has had fun and games with Coventry City fans over the years. We still, absurd as such a long-held grievance may seem, don’t like what happened that night in 1977 when our relegation was sealed by a deliberately non-competitive end to the delayed Coventry-Bristol City game. Congestion in the Midlands meant they knew our result before the game ended; our defeat at Everton while they were level on 2-2, meant both sides needed only to play out a draw to stay up. They, in a nutshell, say get over it and some say there was nothing to get over in the first place. We still feel an acute sense of foul play. Salut! Sunderland: mid-table as I write but I recall seeing pre-season that you were among the favourites to go up. How do you see Coventry FC just now and what seems to you to lie ahead this season ad beyond? Ian Davidson: both clubs want to be challenging for the top six, there is a lot of history between us and Lee Cattermole vs Michael Doyle in the centre of the pitch should be interesting. We started this season slowly, due to not being able to sign our number one transfer target, the striker Conor Chaplin from Portsmouth, until the end of the loan window. Not replacing McNulty, who scored 28 last season, produced a different playing system in the early games, and a resulting lack of goals. As this is written two back to back wins at Oxford, and against the then unbeaten Barnsley, shows more of our potential. Inconsistency reared it’s head once again however, with a very poor performance at Bristol Rovers, last weekend. Realistically, the Championship is achievable, but even that would require significant investment. Mark Robins, solid pro footballer turned manager, has already proved himself with last season’s promotion (having had maybe a less happy earlier stint with you). Can he take you further and is the ownership (I’ll admit Otium Entertainment means nothing to me) committed to advancement? MR is in his second stint with the Sky Blues. Your question implies he had a less happy stint with us, which is not really the case. He achieved a 51 per cent win percentage and was voted Manager of the Month for December 2012, three months after joining us. MR however had left by Valentine’s Day. This co-incided with one of the lowest points in the Club’s history. I wrote in the Coventry City London Supporters Club (CCLSC) newsletter at the time, “it was announced that the rent discussions had ‘collapsed’ and that SISU (the club’s owners) might consider building a new stadium in South Warwickshire. The following day a Third Party Debt Order was issued by Arena Coventry Limited (the stadium operating company) effectively freezing the club’s bank accounts. MR was to leave and for Sky Blues fans it felt like the Valentine’s Day massacre!” History will recall we went into administration, suffered two separate point deductions just after this. It was rumoured at the time, that MR couldn’t get sufficient assurance from the owners on funding and Huddersfield came in with a significantly higher offer and presumably assurances about funding. It also meant he could return to his Yorkshire home, which he had been commuting to and from for the short period he had been with us. MR did return in 2017 and within weeks had won a trophy at Wembley, with the Sky Blues beating Oxford in the CheckaTrade Trophy. Whilst his return couldn’t save us from relegation, he made several changes in team personnel, within an extremely small budget, and returning to Wembley last May, winning the playoff final against Exeter, to achieve an immediate return to League One. Our owners are not universally liked by many supporters, some of whom haven’t attended games since we moved to Northampton for a season. The owners are still in a legal dispute with Coventry Council and Wasps, about the Ricoh stadium. They have however continued to fund the club but insist we must break even. MR, upon his return clearly got the assurances he wanted this time, and has spent money on buying players (for the first time in a few years), building a squad from out of contract players and improving and lengthening contracts of existing players. Our budget is probably in the lower half of clubs in League One this season, and expectations are as optimistic as I can recall for sometime that the club is finally on the up. Ian: I believe the resentment against the legendary Jimmy Hill is misplaced. The police delayed the kick off and my recollection of that night was that Bristol were more to blame, their fans arrived late causing the delayed start and their players played out the remaining minutes. With an almost capacity crowd the game was delayed, upon police advice, to allow the Bristol fans to get into the ground, many of whom had been delayed due to several accidents on the motorway. Any result, other than a draw that evening between the Sky Blues and Bristol would have reprieved Sunderland. All Sunderland needed to do was avoid defeat and the result at Highfield Road was immaterial. Yes, the scoreboard proclaimed that Sunderland had lost, and therefore as long as the scores remained level, both teams were safe. The remaining minutes were played out in the Bristol half with their players passing among themselves, knowing they were safe. I do acknowledge that our players didn’t chase after the ball. Rival players from both teams hugged each other, and fans from both teams danced on the pitch at the end of the game. 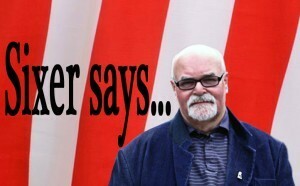 Sunderland I recall lodged a complaint and the Football League carried out an enquiry, but took no further action. I, like many Sky Blues fans, just do not understand why JH got the blame, or why this has gone on for so long. Supporting Coventry City has never been easy. Maybe as a Man Utd supporter you expect to win. As a Coventry supporter we dream. But the bug grips in a big way. Many supporters who started supporting the Club in the 1960s, like myself, saw the team go from the bottom of the Fourth Division to the First Division (what became the Premier League) with three promotions in five years. The Jimmy Hill revolution, he changed the strip to all Sky Blue, galvanised not only the team but the whole city of Coventry. It was a major manufacturing city at the time and everyone in the factories wanted to be part of the Sky Blue Revolution. Thousands would go to grounds all around the county, on specially chartered trains, the ‘Sky Blue Specials’, JH organised to support the team, singing the Sky Blue Song, which still remains today a popular song among supporters. The Sky Blues were then to remain in the top division of English football for 34 years. At the time only Arsenal and Everton had been in the top tier continuously for longer. There were numerous relegation battles during those years, one season in European football, and of course, the 1987 FA Cup Final win over Tottenham. 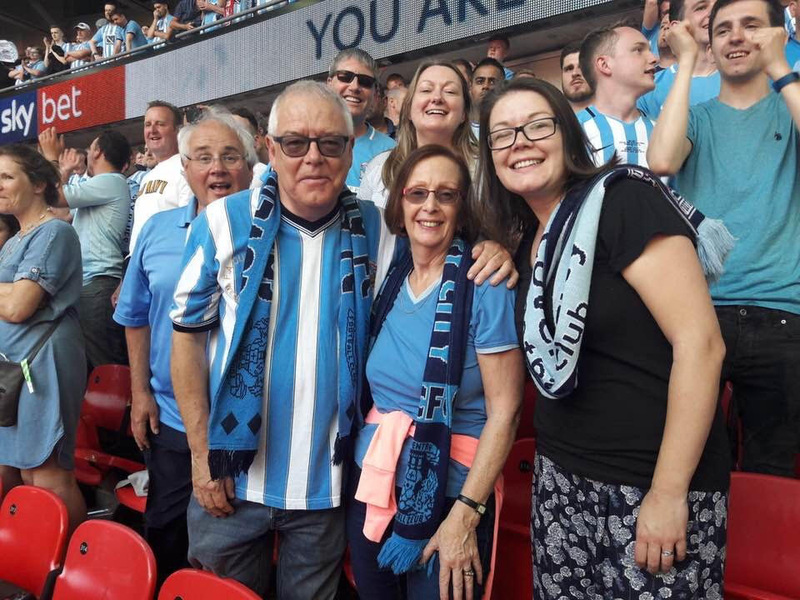 As people and families move away from Coventry, for work and family reasons, their Sky Blue connection remains as strong as ever. I moved to Kent in 1987 and as an example, when my son was asked at school why he didn’t support Man U, Chelsea, Arsenal, Tottenham etc like all the other boys, he would answer. “Have you seen David Beckham this season or been to Stamford Bridge?” When they sheepishly so no, he would proudly say he had (watching his team!). The Coventry City London Supporters Club (CCLSC) www.cclsc.org.uk was created in 1976 and for over 40 years has arranged travel and ticketing for Sky Blues Supporters in the London, South East and beyond. It regularly has a table at the Quarterly Diamond Club Luncheons at the Ricoh (members who have supported the Sky Blues for 50 years) and since the mid 1990s CCLSC provides complementary free membership to members of Sky Blues International (SBI) which provides a focus for far-flung Sky Blues support, and stimulates a wider awareness of Coventry City in the international community. We regularly have SBI members join us at matches throughout the season. SBI has members in over 40 countries. There are expatriate from Coventry all around the world living especially in Australia, New Zealand, Canada, the US and throughout Europe. In addition, we have local nationals especially in Scandinavia, Switzerland and around Europe who have supported the Sky Blues for many years. When I ask why Coventry City they often say they saw the Sky Blues on TV in the 1980s and 1990s, the Dublin, Huckleby, FA Cup winning era and wanted to support an English team, other than the ‘Big’ teams. 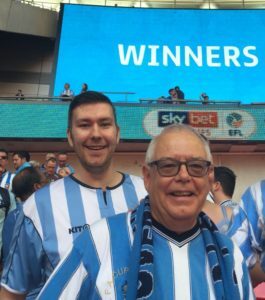 Others say because they had the Sky Blue kit as a youngster, a Coventry City Subbuteo team or, as one Swiss member recalls that Coventry supporters just supported their team. He was a business trip in London late in the season and was taken to Highbury by a work colleague. Arsenal won convincingly but the 1,500 or so Sky Blues fans sang throughout the game. He returned the following autumn, and as it happened was taken by the same Arsenal supporter to Highbury for a game, coincidentally, also against Coventry. Highbury was still a library, he says, but the Sky Blues fans again were making all the noise. On the tube back into Central London he got talking to some Coventry fans, who were CCLSC members, and they invited him to join them at a game when next in the UK. He has been a regular visitor to one or two games every season since. Once a Sky Blue Supporter, always a Sky Blue supporter, wherever in the world you live. We have enough trouble trying to work out who’s who in our own squad in League One and hardly any names leap out at me from yours, but who is doing the business and where do you still need strengthening? CCLSC ask all its members who attend a match to vote for their top three players in each match. Using this, last season’s CCLSC Player of the Season, Michael Doyle, is showing his consistency again this season, Tony Andrea, who unfortunately missed virtually all of last season with an ACL injury, has started well and midfielder, Tom Bayliss, is showing the form that attracted a lot of transfer interest from Premier and Championship sides in the summer. Dominic Hyam, signed as fourth choice centre back last season, but who pushed himself into the first team reckoning by the end of last season, has kept his place with some good performances. We also will see the return of Jodi Jones, after a season long injury, before Christmas. Many supporters felt that we needed to strengthen the goalkeeper over the summer. Lee Burge is capable of making game changing saves, as he did against Barnsley, and MR obviously considered him good enough for League One and used his limited budget to strengthen elsewhere. 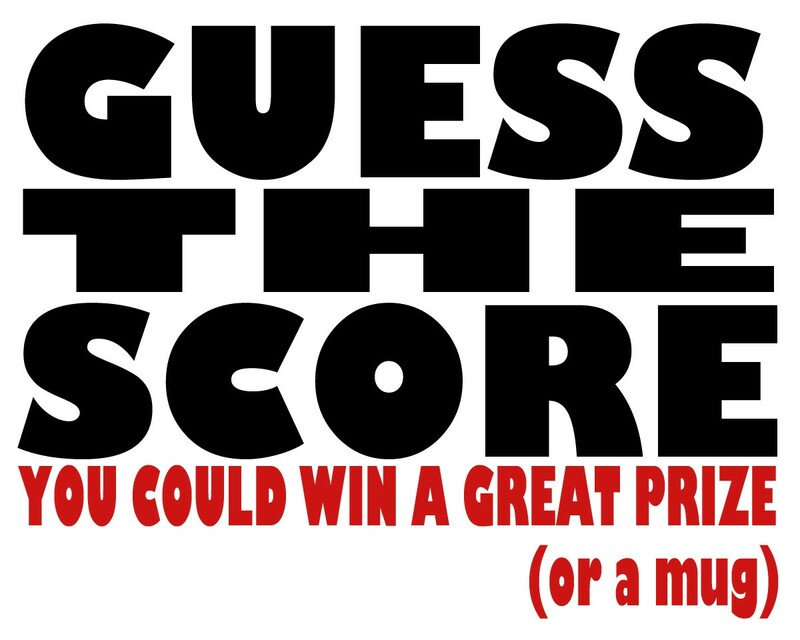 Tell us your highs and lows as a Coventry supporter? They say life is a roller coaster. Supporting the Sky Blues can feel like that at times. The highs are the FA Cup win in 1987, and eventually returning to Wembley, for two consecutive wins in 2017 and 2018, will always spring to mind. But other highs that come immediately to mind, were the win over Wolves, which JH called in the “Midlands Match of the Century” in 1967, the League Cup win at Old Trafford in 2007 in front of what I believe is still the largest away support at Old Trafford, and of course, the final game at Highfield Road, where the 6-2 win over Derby, also kept us up. The lows include the relegations, the tragedy of our one season playing at Sixfields (I was one of the few who attended) and the embarrassing defeat at non league Sutton United 18 months after winning the FA Cup. In recent seasons, the poor performances at places like Yeovil, Forest Green Rovers and Oxford have been hard to take, but show that your clubs history doesn’t count for anything on a wet, cold afternoon in the lower reaches of the EFL. Who has given you most pleasure in CCFC’s Sky Blue – or might have done so had you been old enough to see them? In the JH era, my legends were George Curtis, George Hudson and probably the best uncapped goalkeeper, Bill Glazier. Tommy Hutchison, the late Cyrille Regis, Steve Ogrizovic (Oggy), and Dion Dublin are all names who remain in my and Sky Blue fans hearts. * And who should have been allowed nowhere near Highfield Road/ the Ricoh stadium? The simple answer is the chairman and directors who took the decision to sell Highfield Road, not reinvest the money and move to the Ricoh, without the finances in place to build it. 106 years at Highfield Road. Bitter/sweet memories on your part of that era? Highfield Road will always hold good memories for me and many other Sky Blues Supporters. It holds many firsts – the electronic scoreboard, the beaming back away games to large screens, and the first all seater stadium long before this was a requirement. It probably needed updating but our then owners decided a new ground was the way forward. The atmosphere, from the West End, with the away supporters close by, was never replicated at the Ricoh. At virtually every game these days the song ‘ Take me home, Highfield Road, to the place where I belong’ can be heard. Were you surprised by our sharp decline and successive relegations? The finances from TV in football these days have resulted more and more in a massive gulf between the have and have nots. Sides coming out of the Premier League have unbelievable parachute payments which sides in the Championship don’t have, and even more so, sides coming up from League One, so you shouldn’t have struggled to compete in the Championship last season. So to answer your question, yes it was a surprise to see you relegated for a second successive season. Promotion back to the Championship must be priority, or you could find yourselves like other ‘Sleeping Giants’ stuck in the lower reaches for years to come. Any other thoughts, with or with our reference to question 2! – on Sunderland – the club, fans, city and region, Jack Ross? Sunderland will have one of the larger supporter bases this season. Your home attendances will dwarf those of many other clubs. I understand that nearly 5,000 will be at the Ricoh on Saturday. A fantastic following with the early kick off and the game on Sky TV. Hand on heart, where will our two clubs finish? As I said earlier, Sunderland must prioritise promotion and I can see them being in the promotion race come next April. 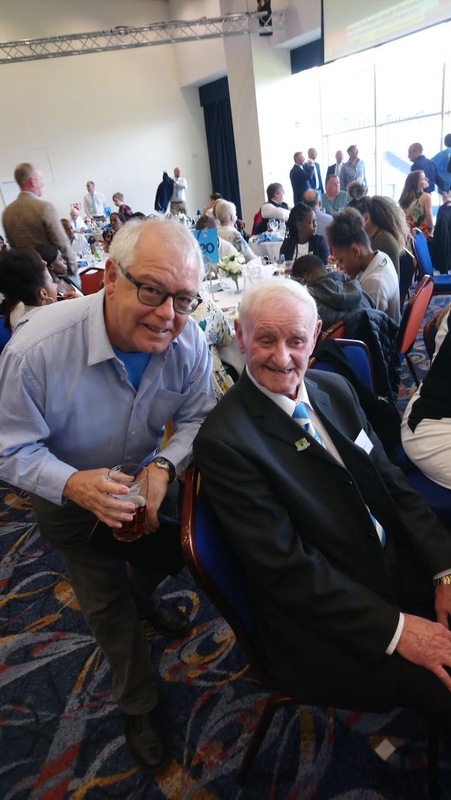 As for the Sky Blues, my heart says we will be in and around the play offs but having just been promoted, I would settle for a safe mid table position, with a push next season for promotion. What one step should your club or the football authorities take to improve the lot of the ordinary supporter? Safe standing would be my one thing the authorities should allow. Standing at some of the away grounds in recent years has been more a safety hazard than at those grounds still with terraces. The World Cup: a fading memory already or exciting enough to keep you going for four years? I thought Gareth Southgate did a good job with the England team and we exceeded my expectations. I am looking forward to seeing this team progress, as we get towards the next World Cup. The Neymar Question. Will VAR eliminate cheating or is diving, feigning injury and all the rest of it here to stay? I would like to think it would do, if applied consistently. There were teething issues in the World Cup but if FIFA are brave enough and have the VAR official able to make decisions, players will soon get the message. FIFA’s leadership power base however is concentrated on counties each having one vote, so if VAR is only used in major countries, the inconsistency will prevail. Remember how long it took them to introduce goal line technology! 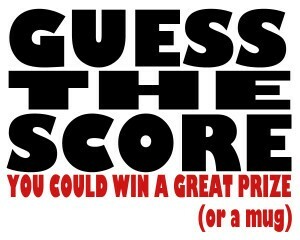 Will you get to the game and what will be the score? I will be travelling with several other CCLSC members from Euston up to the game. With the early kick off, it does mean a very early start for me from Kent to get into London first. Also, I am aware that there will be a number of members of the SBI Norway branch watching at the Bohemen Sportspub in Oslo. It is opening earlier than normal to allow the group to watch the game. My prediction is a 1-1 draw. * Ian Davidson on himself: I was born in Coventry and taken to my first game in 1962, and moved from Coventry to Kent in 1987 to work in the City. I am now retired. I am deputy chair of CCLSC, produce their monthly newsletter and since 2012 have been the secretary of Sky Blues International. 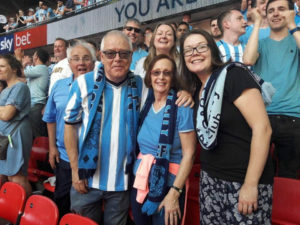 Apart from three years in the early 1990s where I lived and worked in Italy, I have been a regular supporter home and away, since catching the Sky Blue bug. Maybe JH was the one held responsible by safc fans because it was felt that he had used his contacts ‘upstairs’ to secure a favourable outcome for his club. By far the worst aspect of the incident is that two teams could agree not to attack each other. Imagine such a thing happening in the premier league today! I have read that the two teams were given ‘punishment’ of official warnings as to their future conduct. Cov get the single point needed to make the playoffs. Morecambe get the point they need to stay in the league. Tbf any two teams in that position probably would have played safety first football but hey it’s Cov and when did being reasonable come in to it? Not a bad WAY though. I was at University down there and in Coventry when Coventry won the cup and it all reminded me of Sunderland Town Centre at 16:50 May 5th 1973, with people in the streets stunned. That aside, the bus delay and police intervention all sounds reasonable, but what is unreasonable was that somebody made the decision to put the SAFC score up on the board and that brought about the resulting farce. Cheating or unsporting, yes marginally, players response unprofessional, difficult one. JH was a hate figure anyway by then so he was made the villain of the piece. Had Sunderland done the necessary against Everton, which was a game that meant nowt to them, but we couldn’t muster the required fight then none of it would have made any difference anyway. I’m over it, lets just hope them all the best as they are a proper club with proper supporters and then stuff them on Saturday for the good of SAFC’s promotion drive. Splendid article about a club with genuine depth to their support. Thank you. I can’t remember exactly what JH said on BBC prior to the 92 cup final between Liverpool and SAFC but it went something like this, ” it would be a disgrace/ tragedy for a club of Liverpool’s size not to qualify for Europe this year”. Unbiased as ever.I was pleased to learn years after ,that Jones and Fashanu had thrown him out of their winners celebration in 1988 ,after saying something similar about them . I can understand how much Sunderland fans would be angered by the situation. But for the most part they were angered because it happened against their team, I don’t doubt that if the shoe were on the other foot they would have done the same. Yeah, 41 years is a long time to carry a grudge. We fought two world wars in half that time. Ha’way man. If we start being nice to Cov after all this time, the only decent wind ups of opposition fans we’ll have left is referring to Durty Leeds and calling that team from the East Midlands, Notts Forest. The Cov city of culture event will begin at 00.15 hours in 2028.